Our customizable Dog Bandanas are lightweight, machine washable and super adorable (obviously). 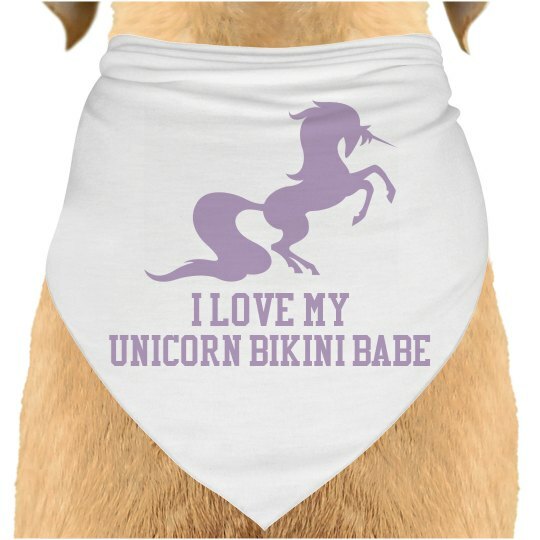 It makes a perfect gift for a pet lover but also a cute addition to your own dog's wardrobe. Perfect for charity walks and parades! This is square bandana, shown folded in half to make a triangle. Made to fit small, medium and some larger dogs. Please note dimensions and measure your dog before ordering.